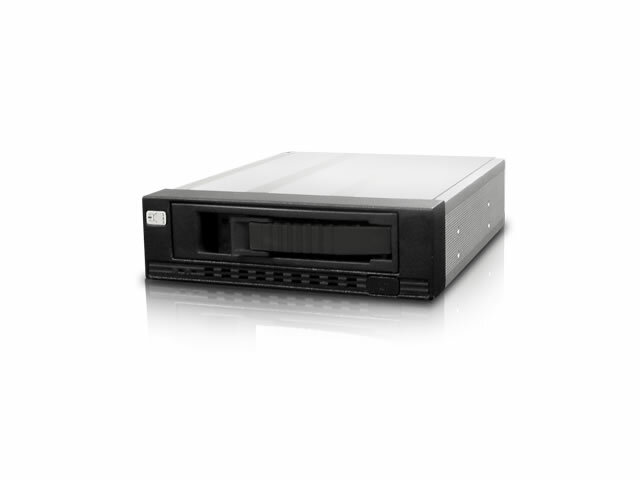 Transferring large amounts of data from one computer to another can sometimes be a hassle. 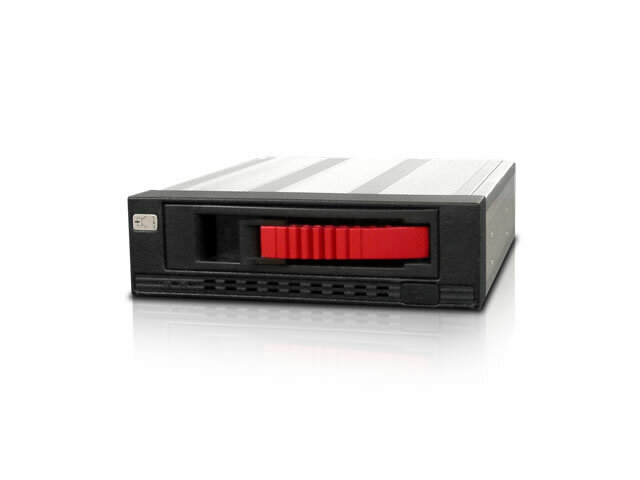 If you are using a flash drive you might have to take several trips back and forth between computers and if you are using an external hard drive, it might take a while. 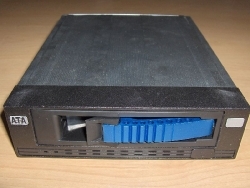 A nice alternative is to simple copy the data onto an internal hard drive and then just move the hard drive to the other computer. You might be thinking that this will end up being a lot of work since you are going to have to take the computer apart and unplug everything, but no, you don’t have to do any of that. With the iStarUSA T-7M1-SA Removable Hard Drive Rack which will mount into a 5.25” drive bay, all you have to do is simply press a button and the hard drive comes right out with no problems. Installation and ease of use are probably the two most important factors in a product of this type. First off the installation is extremely easy as it fits into the standard 5.25” drive bay, which can be installed several different ways depending on the case. 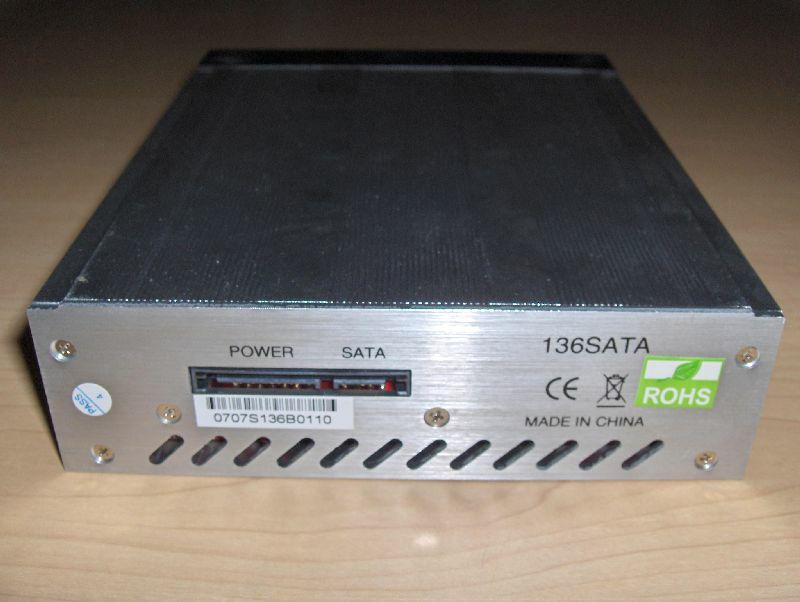 Once securely placed into the drive bay we simply plug in the SATA and power to the back of the drive and that’s it. Installation is complete. 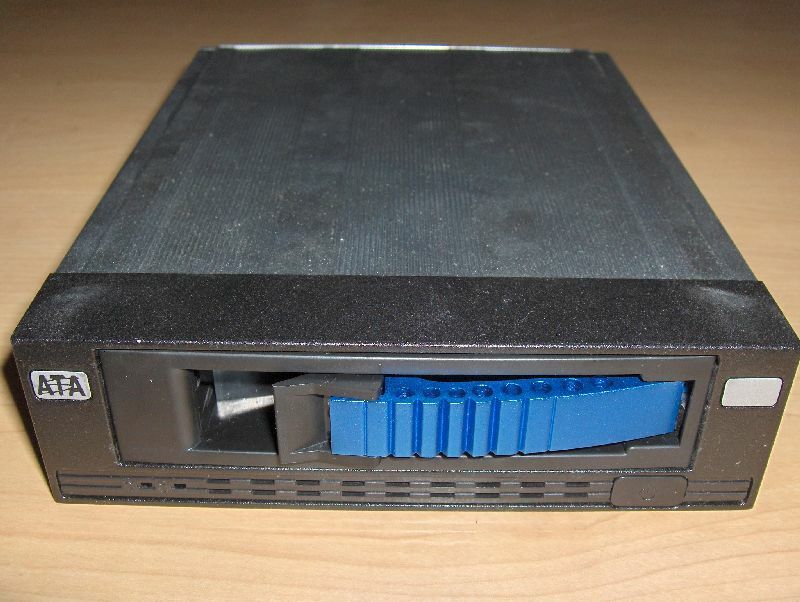 Placing and removing a hard drive into the tray involves simply putting the hard drive down into it. 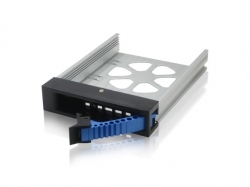 Once you place the tray into the rack and push it in, it will connect to the SATA and power that you have plugged into the back. Now onto speed: I copied and pasted data from one hard drive to the hard drive in the rack and it maintained the same speed as if it was plugged in directly as an internal drive. 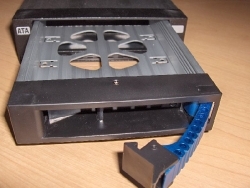 With removable hard drive rack’s what you have is basically a setup almost identical to mounting the hard drive internally. 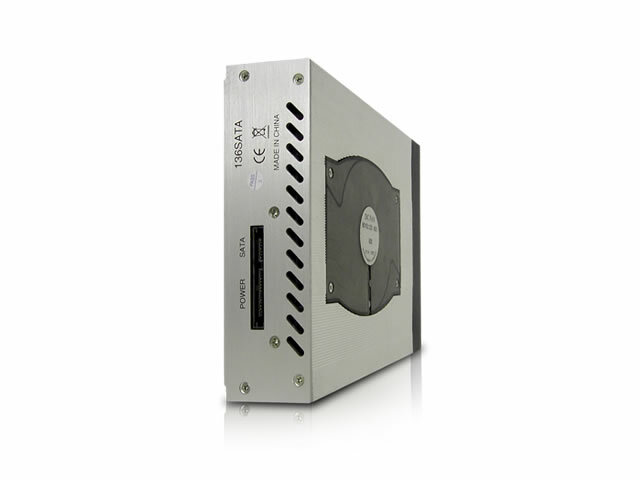 Speeds of writing and access will not be affected as all you have esentially done is mounted the drive into an enclosure which can be removed. The iStarUSA T-7M1-SA also has a 60mm fan located on the bottom so that it will keep your hard drive running nice and cool. The hard drive ran a few degrees cooler in the rack than as if the hard drive ran as an internal with no fan or any type of direct air circulation. 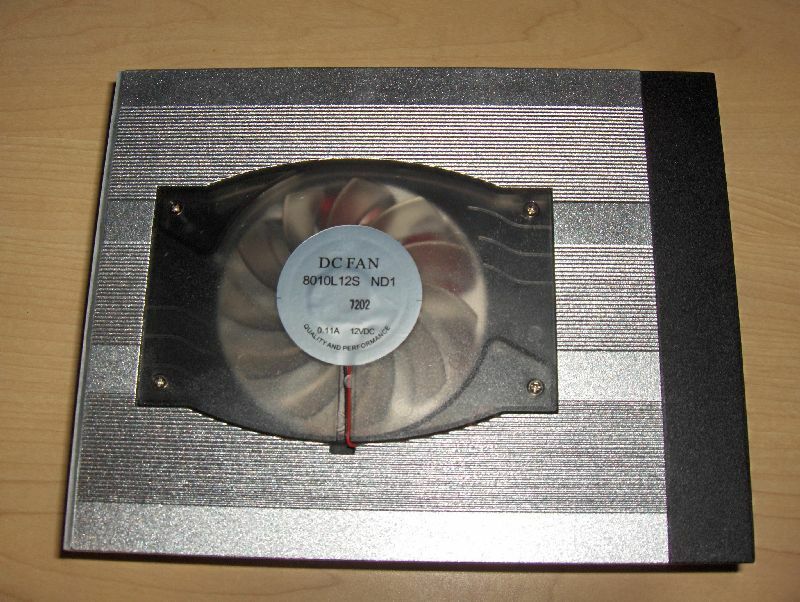 As we know heat is the number 1 killerof hard drives, and as such anything we can do to reduce the heat in will lead to a longer hard drive life. From our testing, you can see that the installation and ease of use is extremely simple. 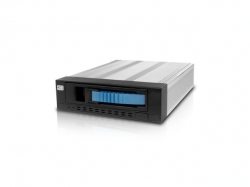 As we explained transfer speeds depend more on the max speed of the hard drive itself and other system factors than on anything to do with an enclosure. Additionally since the iStarUSA T-7 comes in a variety of different colors, you are likley to find one that will match your case perfectly. 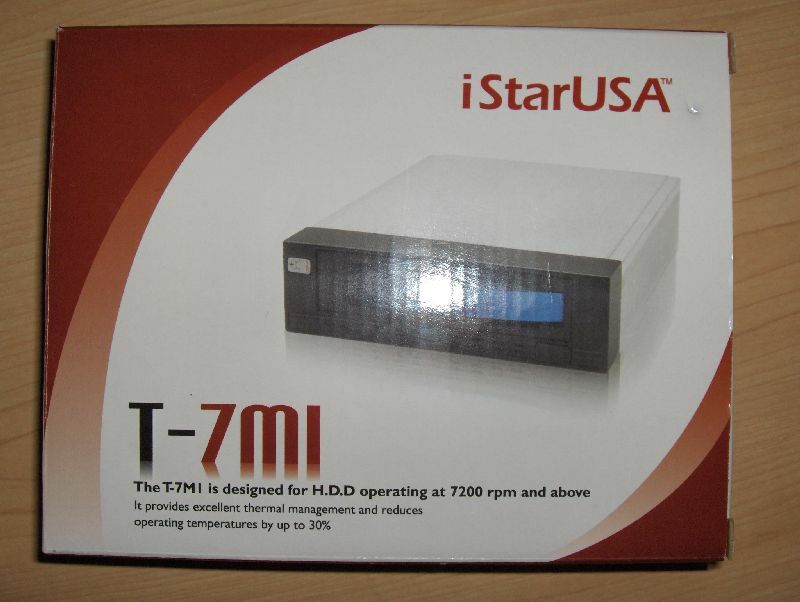 Overall I would have to say that the iStarUSA T-7M1-SA is a very well designed and thought out product.